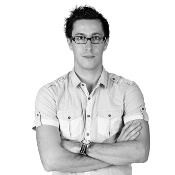 Julien has extensive experience in developing technology projects. He received a degree in Computer Engineering from EPITECH (L’Ecole de L’Innovation et de L’Expertise Informatique) in Paris, France, where he has also worked as a CISCO trainer, Information Security Professor and project manager. Julien is one of the founders and the main developer of the disruptive OpenChange open source project, that offers a native open source replacement to Microsoft Exchange Server and Exchange protocols. Since the foundation of OpenChange in 2006, he has been the Chief Technology Officer and the Chief Executive Officer of the company. As the Chief Technology Officer of Zentyal, Julien is responsible for defining and driving Zentyal’s technology strategy to ensure the fulfillment of the company vision: bringing SMBs and their local IT providers all-in-one IT solutions that are easy to use.